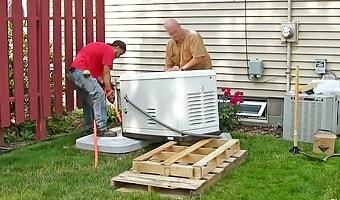 Did you know the most important factor when shopping for a standby generator is making sure you get the right size? Electric Generators Direct put together this easy-to-use Standby Generator Sizing Calculator to make it simple to pick the perfect one. Simply fill out the details of your home and the wizard will do the work for you by suggesting generators that meet your needs. To determine your home’s exact power requirements, we suggest contacting a certified electrician. Step 1: Home Details - What is the Size of your Home? Select Square Footage Under 1,000 sq. ft. 1,000 - 1,600 sq. ft. 1,600 - 3,000 sq. ft. 3,000 - 5,000 sq. ft. 5,000+ sq. ft.
AC units come in several sizes depending on their BTUs or Tons. Since central air conditioners typically use more wattage than any other appliance in your home, you will want to make sure you get a generator that can handle the load. Step 3: What Do You Want To Power? Choose what your power needs are clicking below. Select whole house if you want everything to run at the same time during a power outage or customize to. Selecting whole house provides a backup generator recommendation based on your home's size and corresponding outlets and lighting requirements and assumes natural gas appliances in the baseline calculation. If your home has electric appliances like an electric range, electric clothes dryer, electric water heater, etc., you can add these items below to accurately reflect your home's specific backup power needs. Use this option if you want an emergency back-up generator without powering your entire home. Be sure to select each electrical appliance you wish to have backup power for in your home below. * PED Sizing Tool assumes that you will use load management and not run all appliances at the same time. We recommend having an licensed electrician verify your specific electrical requirements before purchasing. This sizing tool is intended for estimating purposes only. This tool assumes that you will use load management and will not run all appliances at the same time. Transfer switches should be sized to your particular application. We recommend having an licensed electrician or certified installer verify your specific electrical requirements before purchasing. All installations must be performed by a certified electrician in accordance with local codes to maintain manufacturer warranties. 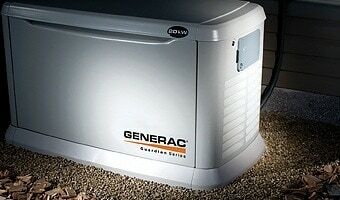 Need More Help Choosing a Home Standby Generator? Call Us at (800) 800 - 3317 for Assistance. Home Standby Generator Calculator.. Our Power Equipment Direct how-to library can help you learn about How to Use a Generator for Tailgating, How to Get the Right Generator for Your Home and How to Save Electricity with Load Shedding.